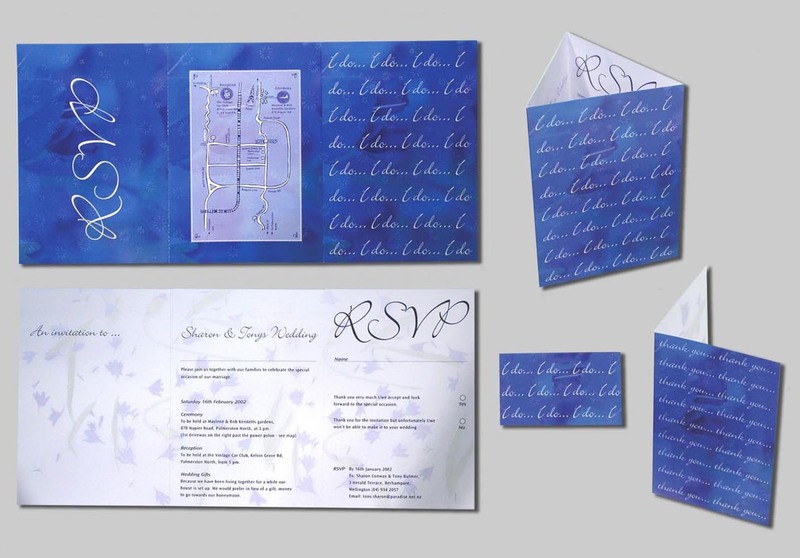 Project: Wedding Invitations, Place Cards and Thank You Postcards. Brief: A garden summer wedding, the colour theme requested was blue and the flowers were blue cornflowers. Solution: A beautiful pattern was created by overlaying the text ‘I do…’ typography pattern over a blue close up of the cornflower.